Bangkok, Thailand -- Sadly at the present time one of the biggest political conflicts among Buddhists in the country is taking place. This wrangling is underscored by a conflict of interest between the two Buddhist denominations of Mahanikaya, the original order of Thai monks with which over 80 per cent of Thai monks are affiliated, and Thammayuttinikaya, the reformed order established by King Mongkut in the 19th century. The latter are in the minority but politically more powerful. Historically, the Thammayuttinikaya denomination emerged out of a conflict between the abbot of Wat Mahathad and the princely monk who later became King Mongkut, or Rama IV, who was disappointed with the practices, educa?tion and rituals of the former. The differences between the two orders has created a bitter rivalry between them. The Ecclesiastical Law of 2505 BE (AD 1962), issued under the dictatorial regime of Field Marshal Sarit Thanarat, authorised the appointment of a Supreme Patriarch of Thailand as the "king of monks". The Supreme Patriarch rules the Sangha through the Ecclesiastical Council, which comprises 21 senior monks in a hierarchy appointed by the King. The King had the absolute right to appoint any highranking patriarch, a socalled somdet, to be the Supreme Patriarch of Thailand. Previous appointments have long been a disappointment to the senior monks who belong to the Mahanikaya denomination. It appears that most of the Supreme Patriarchs appointed by the King have come from the rival order of Thammayuttinikaya. An amendment to the Ecclesiastical Law was made by the military government of Suchinda Kraprayoon in 1991 (2534 BE). This restricted the choice of the King in appointing the Supreme Patriarch to that of the most senior monk, based on his seniority in the feudalistic hierarchy (seniority being determined according to the length of time since the monk had reached a certain position within the hierarchy). The monk promoted to the rank of a chaokhun, first among the somdets - who are all abbots of royal temples in Bangkok - is submitted to the King for appoint?ment to the most senior position in the Thai Buddhist monkhood. According to this principle, the only candidate to become the next Supreme Patriarch is Somdet Phra Putthacharn, the abbot of Wat Saket, who belongs to the Mahanikaya denomination. The second candidate is Somdet Phra Maha Theracharn, the abbot of Wat Chanasongkram, also from the Mahanikaya denomination. The way things stand, it will take generations for a Thammayuttinikaya monk to become qualified for possible appointment to the position of Supreme Patriarch. However, the situation could dramatically change if the rule is amended to base the qualification of candidates on seniority of ordination: ie, according to the total length of time spent in the monkhood. If this happens, the next candidate to be considered for the position of Supreme Patriarch will be switched to the reformed Thammayuttinikaya order. The Thai Rak Thai leadership of the previous government was obviously in support of the Mahanikaya denomination, as it is in the majority. Somdet Phra Putthacharn was promoted to the top position in the Sangha because the Supreme Patriarch was suffering from a chronic illness that had long prevented him from active duty. It was understood that Somdet Phra Putthacharn was next in line to succeed the ailing Supreme Patriarch. However, the coup of September 19 has set the stage for a tug of war between rival factions of monks in Thailand. Rivals of the controversial Somdet Phra Putthacharn, both lay people and monks from the two Buddhist orders, now want to have him replaced. Supporters of the Thammayuttinikaya order are also seeking to change the rule for appointment of the next Supreme Patriarch in favour of their candidates. Some of the proThammayuttinikaya activists are members of the National Legislative Assembly. Their efforts are being countered with fierce resistance. Followers of Somdet Phra Putthacharn took action and protested in front of Government House, denouncing the opposition as lacking in legitimacy. Both groups seem adamant and have vowed to fight to retain their power. It is clear that the military appointed interim government has no clear idea on how to solve the problem. They turned down a proposal for replacement of Somdet Phra Putthacharn with the abbot of Wat Chanasongkram. At the same time, pressure continues to build from supporters of Phra Putthacharn. However, the Mahanikaya order is fragmented, especially after the abbot of Wat Chanasongkram gave a speech in support of an initiative which would place him in the top position. Most lay Buddhists in Thailand are now confused and feel a sense of hopelessness over the ongoing conflict. The better educated are more concerned that such infighting is eroding the faith of the public. 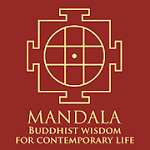 According to the teaching of the Buddha, monks should not covet political power, and feudal hierarchy has no place in Buddhist monasticism. Neither of the criteria promoted by the two factions for the selection of candidates for the leadership of the Thai Sangha is rooted in Buddhist monasticism. According to the Buddha, the Sangha is a family of monks and nuns who respect each other according to seniority of ordination. Nevertheless, the Buddha never said that the leader of the Sangha should necessarily be the most senior member of the community. In fact, the Buddha told his monks, nuns and lay men and women to take responsibility for the religion. There is a huge defect in the Ecclesiastical Law, which is written to impose a feudalistic structure of administration on top of the Sangha and which deprives all nuns and lay Buddhists of the right to get involved. Sadly, Thailand is the only Buddhist country where the study of the Tipitaka, or the canonical literature of Buddhism, is not included in any of the nine levels of monastic education. 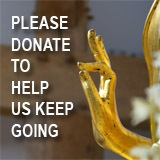 Buddhism has survived and flourished for over 2,000 years in many countries without support from governments. What Thailand needs is not another amendment of the law but a radical reform to revive the longforgotten spirit of the teaching of the Lord Buddha. Mettanando Bhikkhu is a Thai Buddhist monk and a former physician. He studied at Chulalongkorn, Oxford and Harvard universities and received a PhD from Hamburg University. He is a special adviser on Buddhist affairs to the secretarygeneral of the World Conference of Religions for Peace.